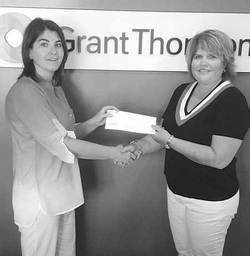 Photo 1 Leanne MacLellan of Grant Thornton presents a cheque to Colleen Thiessen, Executive Director of the Wetaskiwin & District Community Literacy Program. Photo 3 Bridgit Maude of the John Maude and Susan Quinn Charitable Foundation presents a cheque to Colleen Thiessen to support literacy programs. Photo 4 Casey Dyck, on behalf of Rob and Evelyn Dyck, presents a cheque to Colleen Thiessen, Executive Director of the Wetaskiwin & District Community Literacy Program. The Wetaskiwin & District Literacy Program very much appreciates those who have contributed to its appeal for local funding to supply resources to meet local needs that are not included in the strict parameters of its government grants and casino funds. It wishes to express thanks for the donations which have been made by representatives of Grant Thornton, Sirrs LLP, John Maude and Susan Quinn Charitable Foundation, and Rob and Evelyn Dyck. The Literacy Program is also a registered charitable organization, so can give receipts for tax purposes. John Maude, the current Chairman of the Board for the Society for the Promotion of the English Language and Literacy (S.P.E.L.L.) which is the governing board for the Literacy Program, was first acquainted with the program as one of its volunteer tutors when it first began under the auspices of the Community Learning Council 25 years ago. He has been supportive of the program ever since. The Wetaskiwin & District Literacy Program aims to provide, “All literacy for all ages.” Therefore, it has a variety of programs, beginning with providing the “Books for Babies” bag that is given to babies at their four month check up at the Wetaskiwin Community Health Centre. The “Rhyming Tots” program includes rhymes, stories, crafts and other activities for infants to six year olds with their care givers. Visits take a program similar to “Rhyming Tots” to Day Homes several times each year. Little Pals matches volunteer tutors with children needing extra help and time for reading at schools during school hours. Adults wishing help with any aspect of literacy may enter the basic program which matches students one-on-one with volunteer tutors. A variation on this is the “Seniors Connect” which provides instruction in computer use for seniors. Both classes or individual tutoring are available for those learning English as another language. It should be noted that literacy includes numeracy, the ability to understand and work with numbers. Advanced Education, the government department which supports literacy programs, is increasingly concerned with the acquisition of literacy skills necessary for employment, but the Wetaskiwin Community Literacy Program is also there for the woman who wants to be able to read recipes, the grandparent who wants to read stories to grandchildren, the person who may not have been available for learning during school days, but now is ready and eager to gain literacy skills simply to improve quality of life. The Wetaskiwin & District Literacy Program has the ability to provide “All literacy for all ages” to all comers.